One of the best things about being friends with other book lovers, is that you invariably start to swap (diversion – it pains me that swap is spelt thus and not swop. It just infuriates me) books. And usually not just the best or intellectual, books from childhood and guilty pleasures are often the most fun. In fact, at a recent book club meeting, BookElf pulled out a copy of the Milly Mandy stories to squeals of delight! I have finally had a quiet few weeks, and have set myself the task of working through the mountain of books that I have been lent (mostly by BookElf) in the past few months. 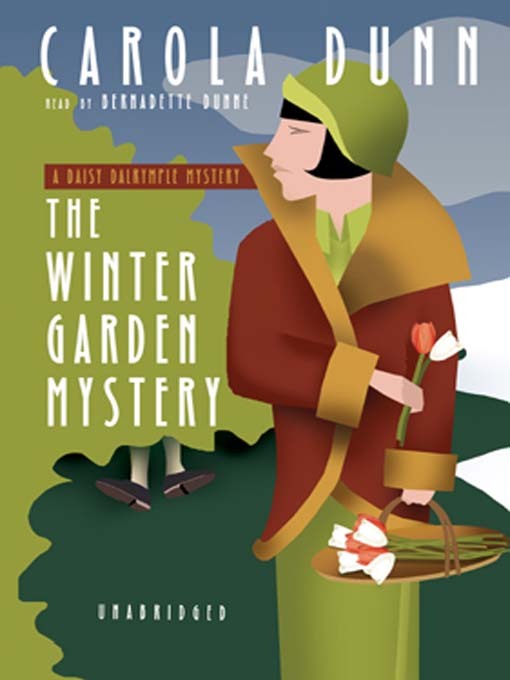 The first set to catch my eye were written by Carola Dunn, the first three books in her Daisy Dalrymple series, of which 18 books have been released. Meet The Honourable Daisy Dalrymple. The war is over, and this enterprising young woman has a living to make. Ostensibly, she is a photo journalist who travels around post-war Britain, taking pictures of grand houses and families – most of whom she happens to know socially. However, in a very Jessica Fletcher type of way, Miss Daisy finds herself confronted by all sorts of intrigue, from jewelery thefts, to identity theft…to murder! Where ever she goes, crime seems to follow. And being a naturally inquisitive sort of person, Daisy usually finds some ‘need’ to get involved. Ok, so high art, these books probably aren’t. But they are sweet and gentle and if predictable, not totally so and not to the detriment of the story. Far more interesting are the insights in behaviour, and the social settings. And the author is not afraid to paint in, with a deft and light touch, aspects not often found in books from this era, such as homosexual pairings, and the snobbery inherent within the time period. 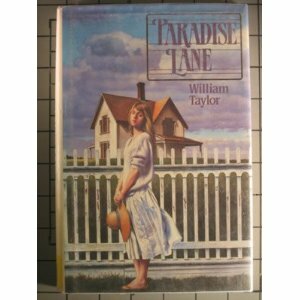 The next short sweet read to catch my eye was William Taylor’s 1989 young adult book Paradise Lane. This is a beautiful story about a young teenager growing up in a small town in New Zealand. Rosa ‘Rosie’ Perkins has always been a bit of an outsider. Her mother is an alcoholic, and her overbearing father is becoming over-attentive. At school, she tends to be a loaner, drawing only jeers from her classmates, particularly from her nearest neighbour, Michael Geraghty. Things reach a head after she adopts a possum, and is cruelly bullied by Michael and his friends as a result. Shocked by his own behaviour, and Rosie’s angry outburst, he sets out to make amends by becoming her friend – an action that Rosie treats with understandable suspicion. The actions unfolds slowly, with an undercurrent of tension building up throughout the book until the final dramatic scenes. However, the emphasis is, rightly, focused on the developing and growing feelings of the two protagonists, on how they see the world, the events unfolding around them, and observing their first faltering steps towards building trust, and romance is a lovely warm enveloping feeling. I read this book in one three hour stretch. I found the characters to be very realistic and natural, with particular mentions to the mothers involved. The cold detachment of the one, is countered by the weary but firmly maternal responses from the other. And, once again realistically, the teenagers find that while they can resolve the dramas unfolding around them to a certain extent independently; there is also a time when parental or adult intervention must be sought. As with all the best reads, I was sorry to finish this book – I wanted a Harry Potter style epilogue, promising a happy ever after. Of course, it is better to have the moment captured with the future unrealised. Much more true to life. 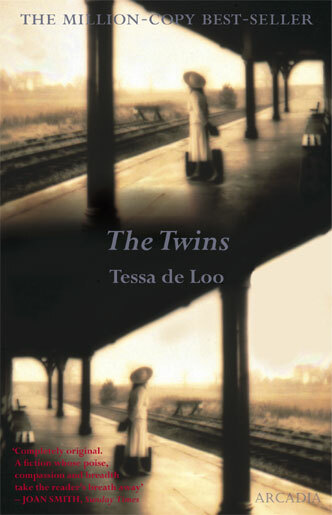 A friend from back home also lent me a book called The Twins, by Tessa de Loo. This is an intricate and complicated tale of twin sisters, separated by fate, and reunited some 70 years later by chance. After the death of her parents, Lotte is adopted by an uncle and taken from Cologne, Germany to the Netherlands. 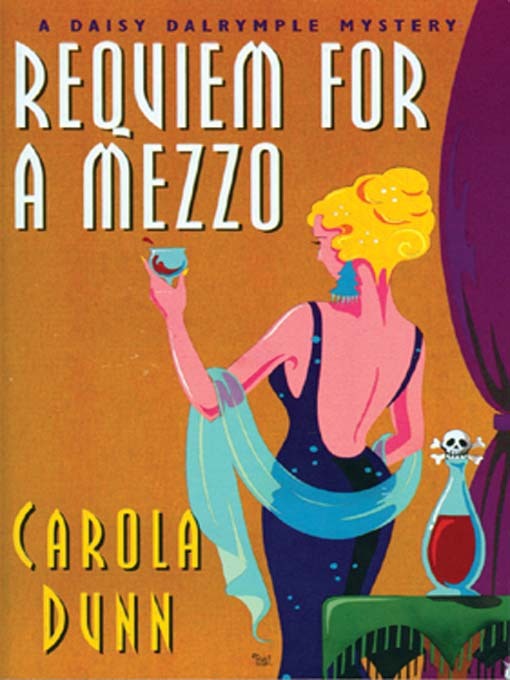 She is raised in a rowdy, eccentric yet loving family, who take in Jews during the second World War. Her twin sister Anna, however, was taken in by her austere Grandfather, and remains in Germany, ending up working as a nurse in German hospitals during the war. The pair meet, quite unexpectantly some 70 years later in a spa, where both have ended up due to arthritis. Lotte is taken aback by her much more outgoing twin, and only reluctantly agrees to interact with the other. Anna, on the other hand, is delighted to be able to reconnect and finally clear the air of the over-whelming, and oft misunderstood past. This book is emotional, revisiting a by now familiar era from a different perspective. While not in the slightest apologetic for the actions of the Nazi’s of the time, it does however present a neglected view of the everyday working class German, and how they fared during that time. The twins differing positions allow for an in-depth view of both perspectives, and there is a weary acknowledgement from both sides that the bitterness that remains is too deeply rooted to ever be excised completely. I had been a little sceptical before reading, that this subject matter would either be trivialised, or made ponderous; it was in fact deftly handled. As I personally related better to Anna (the one who remained in Germany – which actually gave me a slightly uncomfortable feeling for a few moments), her experiences seemed very realistic, and her desperate need to set the record straight and reconnect with her estranged sister felt very poignant. Yet I could also completely understand where Lotte was coming from. How much she wanted to be left alone, in peace, without the raking unnecessarily up of the least comfortable period of her life. Her totally relatable fury at Anna, while simultaneously feeling drawn to her, and at least passively interacting with her is also presented in a plausible light. A great read, I’ll be recommending it to everyone! I have also tackled a second set from BookElf – a series written by Patricia Wentworth, about a private detective (and ex-Governess) Miss Silver. There are 32 books in total featuring this most efficient of knitting detectives. 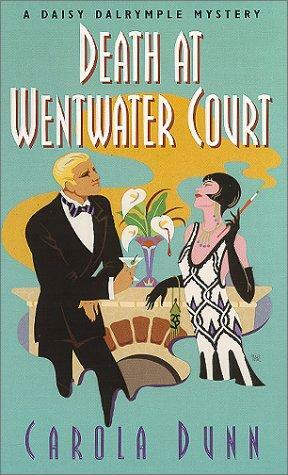 Now, way back when, these books were as popular as contemporaries Miss Marple and Hercule Poirot, by Agatha Christie. I don’t know whether history hasn’t been kind, or if I’ve just been very obtuse, but I’d never heard of these lovely little books till I was handed them. And they are delightful! They feel just like an episode of the Gilmore Girls, where the action occurs so slowly that the primary storyline seems almost surprising in its reveal next to the character development and the seemingly essential star crossed lovers. Though IRL I am fairly sceptical, I love these sort of eyes meet in a crowed room/lightning bolts that typify books like these. Miss Silver plays almost a secondary role, back seating to the ‘victims’ and the paths that the murder/theft/bosh on head sets in motion. She works with the Police, having once taught/mentored a now successful Scotland Yardie (all a bit ra!!) Frank Abbott, who is both loyal and has complete faith in her wry observations. This series seems to reside in the same world and class as the Daisy Dalrymple series, and offers certain social insights, though I personally found them to be a little ‘safe’. This is perhaps an unfair observation, after all, I’ve only read a very small sample of the series. I have to admit, I am not interested in purchasing or collecting these books (unless I receive an unexpected windfall, and finally get to compile some sort of library!! ), I would definitely get them out of the library…in a while, I have to admit, I kind of fancy something a little grittier at the moment. Anyhow, tomorrow, I’m looking to start another of my borrowed books pile, and will let you know what I think soon! Hard-covered books break up friendships. You loan a hard covered book to a friend and when he doesn’t return it you get mad at him. It makes you mean and petty. But twenty-five cent books are different.